What is With All the Different Salts? Salt is one of the most important ingredients in cooking. Without salt most food would taste bland and flavorless. More and more we are seeing several salt choices in our markets. And there are distinct differences between their nutrition and creation. You can find Himalayan Pink Salt, Inca Pink salt, Kosher Salt, Sea Salt, and Celtic Salt. Just to name a few. You cannot forget plain old ionized refined Table Salt. These all differ in taste, salinity, mineral content, and texture. To understand the differences, we must first learn what salt is and where it comes from. Salt is considered a crystalline mineral. There are many different kinds of salts. And, what makes them salts is in their chemistry. The chemistry of table salt is a compound of atoms held together in an ionic bond (magnetic) of sodium (Na) and chlorine (Cl). Aka Sodium Chloride / NaCl. Different salts have different mineral content. It all depends on where it is mined. These differences can affect the flavor and nutrients of the salt. All salt comes from seawater. That sea/ocean may have existed hundreds of thousands of years ago. Now it might exists as a dried sea bed and is landlocked. Or it can exist hundreds of feet or miles under our feet. Or, it is still in the existing oceans and seas. The salt that once was part of an ocean is in either a brined groundwater (salty water); at the surface as a white layer; crystallized underground; Or in solution in a sea, ocean, or landlocked lake that was once part of an ocean. Salt in its natural form is unrefined. Meaning it has not been altered by humans. And, still contains many minerals and elements that the body can utilize. the salt is treated with chemicals to remove mineral. Which are called impurities and usually gives salt its color. These chemicals can be sulfuric acid or chlorine. After the drying process, anti-caking and/or conditioning agents are added. The conditioning agents can be sodium ferrocyanide, ammonium citrate, or aluminum silicate. If the salt is taken from a polluted area. The refining process will remove the toxins associated with the salt. Which demonstrates that where a salt comes from and it is unrefined would be the healthiest to consume. What does this mean to health? Humans need trace minerals. Even in small amounts they are vital to our health. So refining salt removes those great minerals we need. And, adds chemicals that are non-essential and possibly harmful to our health. The ideal salt would be unrefined which mean we would have to mine it from a non-polluted sources. Like an ancient sea/ocean. Then it would not have to go through the refinement process of treating the salt to remove the toxins. Note that groundwater can be contaminated in many place. Especially near a city. Sodium and chlorine are essential for humans. Salt helps the brain and nerves send electrical impulses. What is not essential is all that is put into refined salt. With the exception of iodine. Salt comes from salt mines or by the evaporation of water. Water such as sea or spring water. 6% of mined salt is used for human consumption. The rest is used in industry. Table Salt usually contains a anti-caking agent and is iodized. Where Sea Salt is not. Table Salt is iodized due to a high incidence of iodine deficiency that once existed in the U.S.A. This deficiency still exists in some countries. This deficiency can cause goiter in the thyroid. Which use to be common in the United States. But with the advent of access to regional foods such as shellfish (high in Iodine) and multivitamins the issues has become mute in the U.S.A. Note there are other conditions that an iodine deficiency can produce. Salt has been ionized since 1924. And, is done by mixing in potassium iodide, sodium iodide, or sodium iodate. And sometimes a small amount of dextrose (sugar) is also added. This helps stabilize the iodine. The anticaking agents used are usually sodium aluminosilicate, magnesium carbonate, and sodium ferrocyanide (aka: yellow prussiate of soda). Other anti-caking agents sometimes used can include tricalcium phosphate, calcium or magnesium carbonates, fatty acid salts (acid salts), magnesium oxide, silicon dioxide, calcium silicate, sodium aluminosilicate, and calcium aluminosilicate. If you choose not to eat ionized salt. Make sure that you eat foods high in iodine. This includes shellfish, fish, dairy, eggs, and seaweed. If you do not eat these foods, try kelp tablets a few times a week. Table salt usually contains a anti-caking agent and is iodized. The anticaking agents used are usually sodium aluminosilicate, magnesium carbonate, and sodium ferrocyanide (aka: yellow prussiate of soda). Other anti-caking agents sometimes used can include tricalcium phosphate, calcium or magnesium carbonates, fatty acid salts (acid salts), magnesium oxide, silicon dioxide, calcium silicate, sodium aluminosilicate, and calcium aluminosilicate. Kosher salt is called “kosher” because it is used for the Jewish religion. 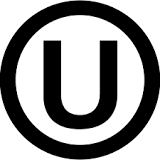 Kosher food is usually approved by a Hechsher. In Jewish dietary law, it is required that blood is extracted from meat before it is eaten. Kosher salt’s flaky and coarse structure is effective in extracting the blood. The main difference between regular salt and Kosher salt is the structure of the flakes. 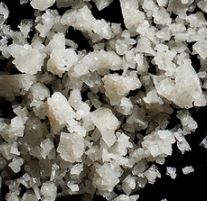 Chefs find that Kosher salt, due to its large flake size, is easier to pick up with the fingers and spread over food. There really isn’t much difference to regular table salt. But kosher salt is less likely to contain additives like anticaking agents and iodine. Great to use in the ice used for making ice cream. Since the grains are large. It tends to make creamer ice cream when added to the ice. But that is a story for another time. Not all salts marked Kosher Salt has been certified by a Hechsher. Sea Salt is unrefined. Only contains small amounts of mineral. It is mined by evaporating of seawater. Just like Table Salt, it is mostly sodium chloride. However, depending on the location it was harvested. Along with how it was processed. These factors will determine the amounts of trace minerals. Such as iron, potassium, or/and zinc. The darker the salt, the higher the concentration of impurities (mineral) and trace nutrients. Due to the pollution of our oceans, sea salt can contain trace amounts of heavy metals. Such as lead and mercury. Sea salt comes more coarsely grounded than table salt. Which gives food more flavor when added after the food is prepared. Himalayan Pink Salt is harvested in Pakistan. 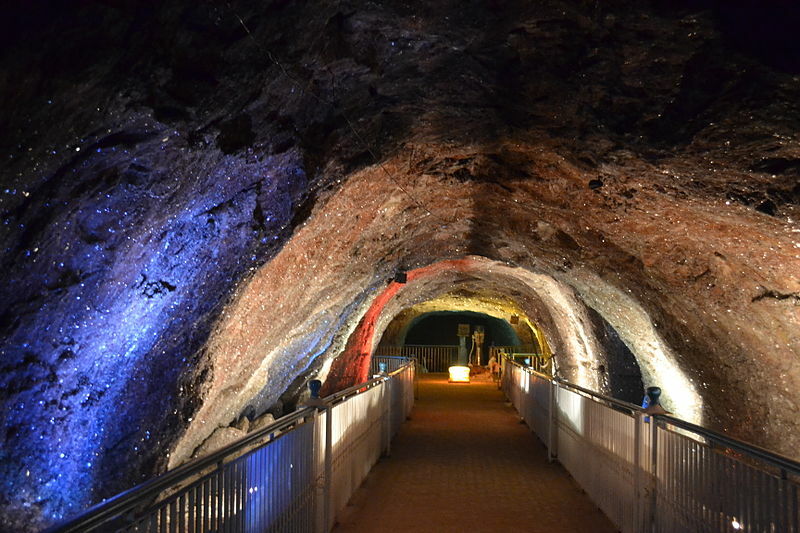 It is mined from the Khewra Salt Mine in the northeast side of the county. It is consider the second largest salt mine in the world. Himalayan salt gets it pink color from trace amounts of iron oxide (rust). In addition, it contains small amounts of calcium, iron, potassium, and magnesium. It is considered a healthier salt because of it’s mineral content and that it contains slightly lower amounts of sodium than regular salt. Inca Salt comes from the evaporation pond at Maras, Peru. Maras is a town in the Sacred Valley of the Incas. Which is about 25 miles north of Cuzco, Peru. These evaporations ponds have been in use since the time of the Incas. Which was around mid-1400’s to mid-1500’s. The mine is located about 11,000 feet above sea level. It is a complex network of nearly 3,000 salt pans. Which are shallow pools that are filled by a spring that is high in saline (saltwater). Local families harvest the salt by hand. 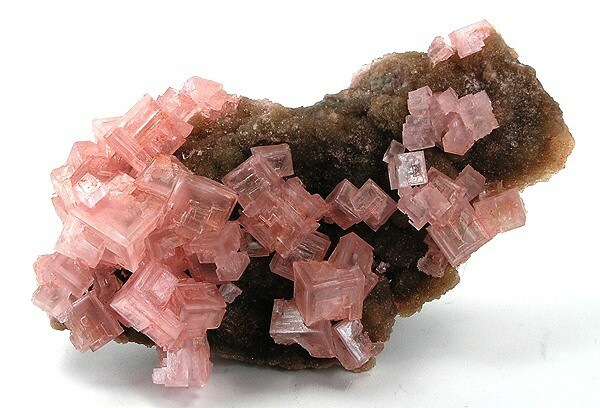 The salt is naturally pink. This hue is from the trace elements in the spring water. They include calcium, magnesium, silicon, and potassium. 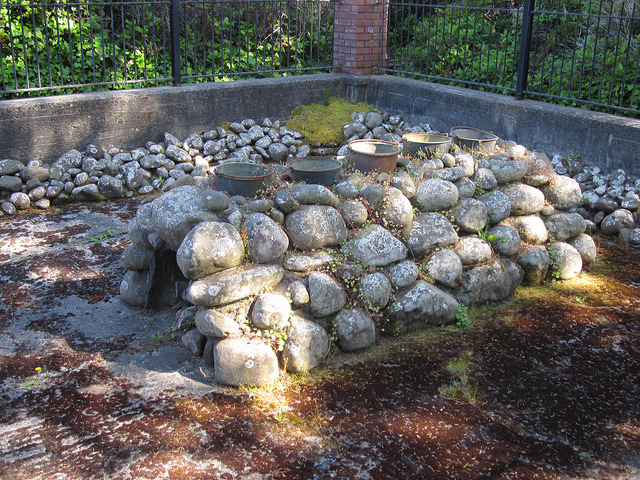 The source of the spring water is believed to be from a deep halite deposit. Better known as “Rock Salt.” It is believed that millions of years ago, an ocean covered much of central Peru. This ocean was trapped inland and evaporated. This formed the halite deposits. Wooden rakes are used to harvest the salt. Which is considered the Celtic method of harvesting. No metal touches the salt. It is aired and sun dried in clay ponds and gathered with wooden tools to preserve its living enzymes. It is unrefined and is said to contain 84 beneficial live elements found in seawater. No chemicals, preservatives or additives as used. It has a greyish color and also contains a bit of water, which makes it quite moist. The gray color comes from the minerals absorbed from the clay lined salt ponds. The salt contains trace amounts of minerals and is a bit lower in sodium than plain table salt. The moisture of the salt is a sign that it has been harvested recently. And the moisture and minerals are still retained. The best way to store the salt is in a glass jar. If using a Mason jar, make sure the lid is lined with cloth or wax. And, not metal. Again, it is thought to preserve its living enzymes. Due to the moisture of the salt, it is harder to grind in a conventional grinder. And is best as a finishing salt. To obtain finer Celtic salt for cooking, use a mortar and pestle shortly before using it. Which is not necessary when being used in stews and sauces. Where it will dissolve easily. A fine or coarse grained unrefined sea salt. It is naturally red. It gets it’s color from a natural mineral called Alaea. Which is volcanic baked Hawaiian red clay. When it is black, it is from the addition of charcoal to the red salt. But is can be found in other colors. It is full of trace minerals like iron. 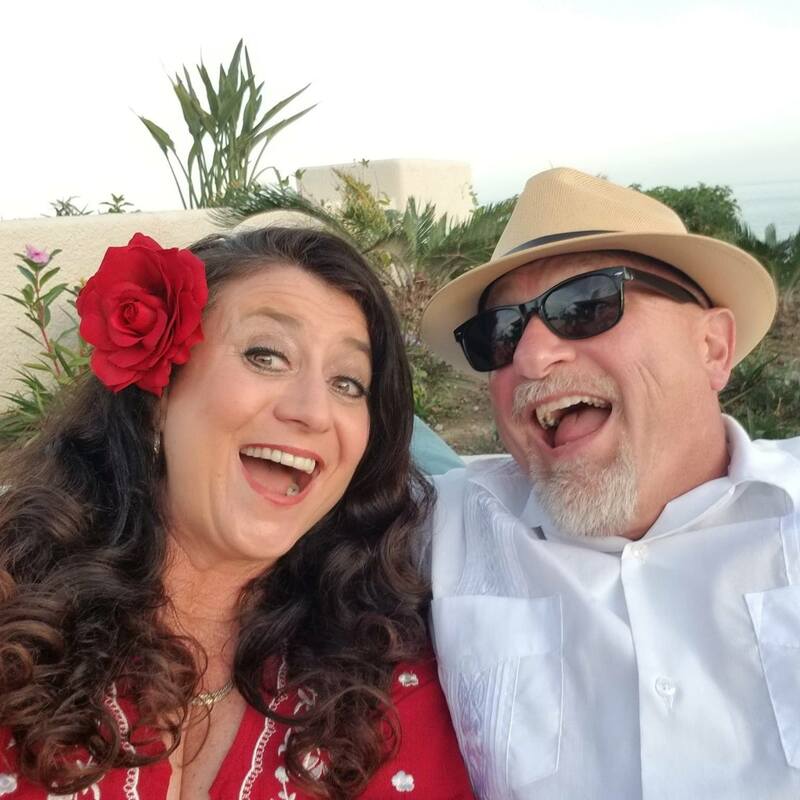 The salt is great for dish like pork, seafood, and ceviche. It is used as part of the native Hawaiian cuisine. Dish like kalua, poke, and pipikaula. And, is also used in Hawaiian rituals. 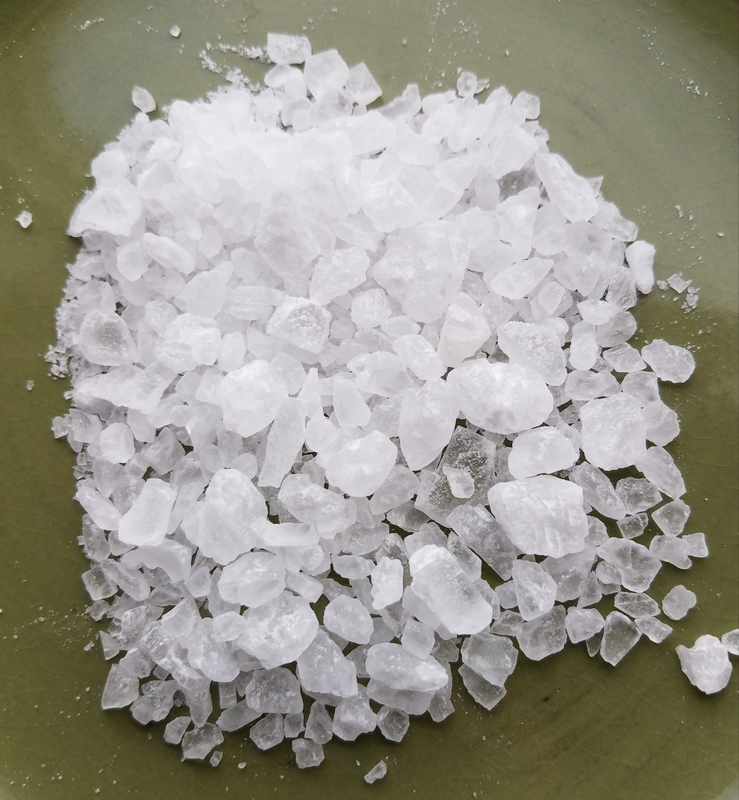 The white salts include names like, Papohaku Opal and Kona Deep Sea Salt. These are solar evaporated. 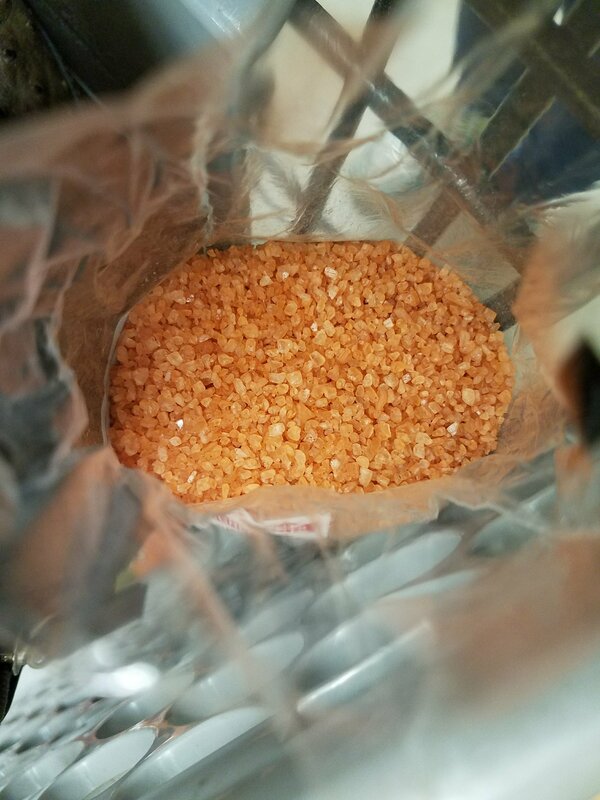 Red Salts include names like, Haleakala Ruby and Molokai Red. These are a mixture of white and Alaea clay. The black salt is called “volcanic” salt. Can be found under the name, Kilauea Onyx. It is known for it’s detoxifying properties. Most Alaea Salt (red) sold in the United States is produced in California. True Hawaiian salt can be expensive and difficult to find outside the Hawaiian islands. So read the label for its source. Blue salt is one of the rarest salts in the world. It is found in a salt mine in the northern province of Semman in Iran. Also know as Persian Blue Salt. The blue color occurs during the forming of the salt. And is caused by the intense pressure exerted on the salt deposits. The salt is mined from deep ancient sea beds in the mountains of Iran. It is generally regarded as a dessert salt. For example in a caramel sauce. Picking salt is also called “Canning” salt or “Preserving” salt. Pickling salt should not contain anticaking ingredients. Because they can turn pickling liquid cloudy. In addition, it should not be ionized. This can make pickles dark. It is usually ultrafine which makes it easy to dissolve in a brine. It should be kept in an airtight container away from moisture to prevent the salt from clumping. Dairy salt is used in the preparation of butter and cheese. It is used to retain moisture in butter. And, to reduce water content and slow ripening in cheese preparation. Finishing salt is the salt you sprinkle on a dish or dessert at the end of cooking. It is felt to make a dramatic difference in how your food’s taste. 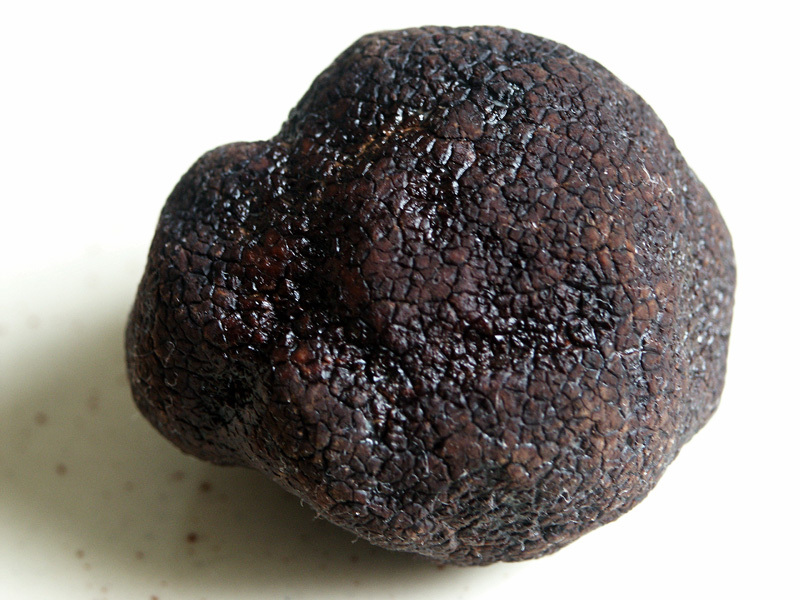 A truffle is a subterranean fungus. Truffles are usually found in close proximity of tree roots. The black and white truffles are prized in French gourmet cooking. They are also used in high esteem in Croatian, Georgian, Greek, Italian, Middle Eastern, and Spanish dishes. Truffle Salt is Sea Salt that has been laced with pieces of black or white truffles. Giving it an intense aroma and flavors. It is considered a finishing salt. Great on egg, pasta, mashed potatoes, beef, and buttered popcorn. Saltiness is one of the five primary basic tastes the human tongue can detect. The five tastes are: salt, bitter, sweet, sour, and umami. Where umami is from the taste of glutamic acid. It is found in many foods such as meats and MSG. Salt can help foods release it’s molecules more easily into the air. Which in turn helps the aroma of food. Aroma is an important perception of taste. Salt can also help suppress bitter taste. This is why it is often sprinkled on grapefruit or celery. Salt added to sweet and sour food helps balance out the taste. So it is not too sweet. And, not to sour. Salar de Uyuni (English: salt flats with enclosures), located in Bolivia, is the world’s largest salt flat (4,086 square miles). The salt is the result of several prehistoric lakes drying up. Which resulted in a salt crust that is a few meters thick (approximately 13 feet). The brine under the flats is rich in lithium. And holds 50% to 70% of the world’s lithium reserves. Which is just being planned to be mined. 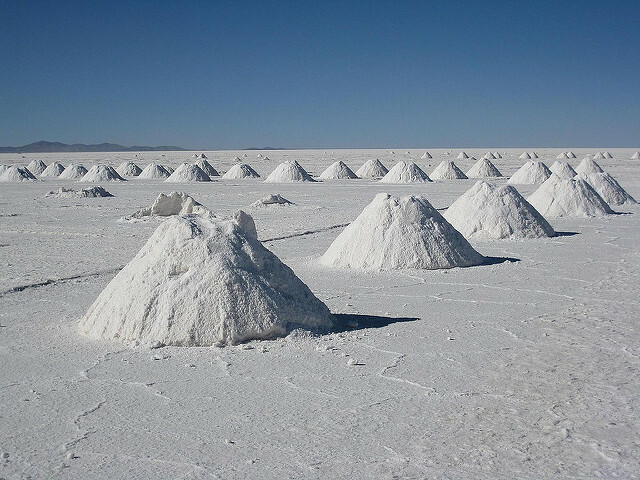 At Uyuni, they mine the salt by scraping the salt off the surface and puts it into piles. Salina Turda is a salt mine located in Romania. 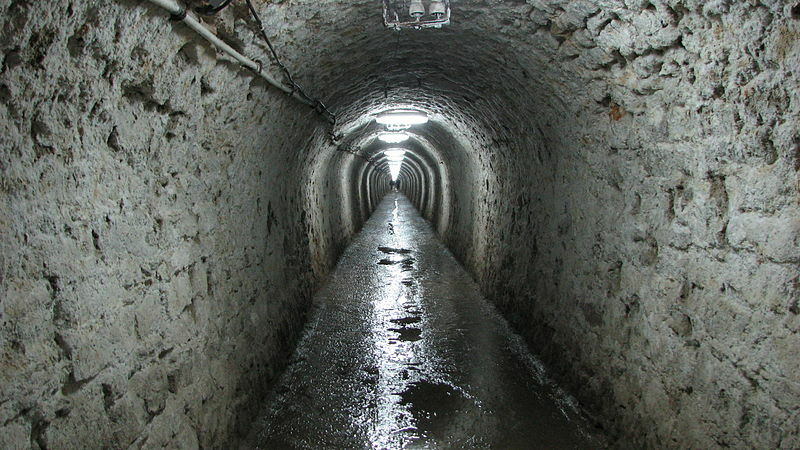 It is considered one of the top “coolest underground places in the world” by Business Insiders. Has been producing table salt since the Middle Ages. Dead Sea, https://pixabay.com/p-2115955/?no_redirect by lehollaender. Accessed on March 15, 2017. Public Domain Creative Commons CC0.